Two hours of aerialists dancing up high, a contortionist in a bubble, a Venetian aerial duo, aerial hula hooping, duo jugglers, duo roller-skaters, the wheel of death, a pre-historic dinosaur and other sparkling water acrobatics. Where: Park Place, 5870 E. Broadway Blvd. When: Starts Friday May 18, 7:30 p.m.; runs May 18-21 and May 24-28. Click here for times. Why should kids have all the summer reading fun? Grown-up reading lovers gather outside of Tap and Bottle and Exo Roast Co. during Analog Hour. We'll be hanging out by the Pima County Public Library's Bookbike. Stop by and get a cute checklist with 36 Tucson-inspired titles to challenge your reading this summer and some #ThisIsTucson bookmarks to help you keep track. Where: Exo Roast Co., 403 N. 6th Ave. When: Sunday, May 20, 1-3 p.m. The SummerGo Youth Pass gives kids ages 6-18 free pools and free transportation around Tucson from May 25 to August 2. The pass provides unlimited air-conditioned rides on Sun Tran, Sun Link streetcar and select Sun Shuttle routes. Kids with the SummerGo Youth Pass can also use all City of Tucson pools for free (with the exception of the Edith Ball Adaptive Recreation Center). Pass holders also qualify for discounts at the Flandrau Science Center. Passes are available for $45 until Sunday, July 1. Click here for a list of purchase locations. Visit the library's official kids summer reading program kick-off. There will be giveaways, luchador mask craft, stories, songs, free book to take home and a selfie with Curious George and Clifford. Where: Tanque Verde Swap Meet, 4100 S. Palo Verde Rd. When: Saturday, May 19, 7-9 p.m. Spend some time with your family and benefit at the same time. This class will include reading books, yoga games, practice breath work and relaxation techniques that you can do together at home. Where: Tucson Yoga Studio, 150 S. 4th Ave. When: Saturday, May 19, 1:30-3 p.m. Cost: $20 for 1 kiddo and 1 adult. Learn how to make fidget spinners and key chains out of recycled bike parts. Bring some friends and see who can spin their fidget the longest. Where: Bicas Art, 2001 N. 7th Ave. When: Saturday, May 19, noon to 2 p.m. Treat yourself to some nostalgia, good R&B music and a good time. Where: AVA Amphitheater, 5655 W. Valencia Rd. 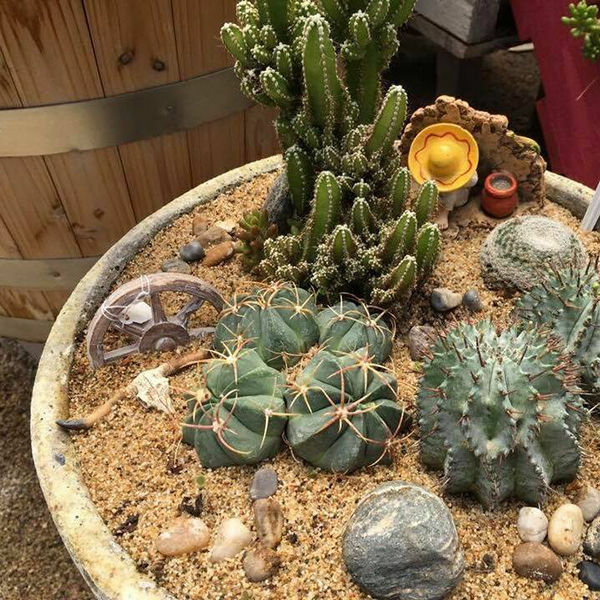 When: Sunday, May 20, 7:30-10:30 p.m.
You'll learn how to plant a successful cactus bowl. If you have your own planter, feel free to bring it with you. Where: Green Things, 3384 E. River Rd. When: Sunday, May 20, 10-1 p.m. Listen to a live concert with Katherine Byrnes and Crystal Stark. There will be solos, duets and their best hits. Grab blankets and chairs and listen to great music in the cool air. When: Sunday, May 20, 7-10 p.m.
Let you imagination flow with your own creation. Supplies are included to make your mosaic. Other supplies will be for sale at the event if you want to use them. When: Sunday, May 20, 1-4 p.m. Cost: $15, may take two classes to complete the artwork. Fold paper and create little creatures or flowers. You'll learn different origami techniques. Kids will have a roaring good time. There will be educational activities and a dino dig. Where: Our Play Place, 3951 W. Costco Dr. When: Saturday, May 19, 9-11 a.m.
Join this fundraiser event and enjoy all the festivities with your kids. Event includes bounce house, petting zoo, games, shopping and raffles. Pro baseball players, fireman and policeman will be stopping by too. When: Saturday, May 19 at 10 a.m. to 2 p.m. Kids get to listen to stories led by costumed characters. Kiddos sing-a-long with characters and other little fantasy seekers at the event. Where: The Mini Time Machine Museum of Miniatures, 4455 E. Camp Lowell Dr. When: Saturday, May 19, 10:30-11 a.m. Workout your muscles and mind with poses, stretching and a positive atmosphere. When: Saturday, May 19, 10:30-11:45 a.m. Cost: Free for new students or $8 cash or use your Mindful Yoga class card. Go under the sea and paint a mermaid for your bestie. Drinks will be available for purchase at tiered prices. Have some fun and enjoy a free class of flow. Sweat and train your muscles this weekend. Where: Studio 520, 1240 N. Stone Ave. When: Saturday, May 19, 10-11 a.m. Tired of being perfect and neat while you paint? Be a kid this weekend and splatter some paint in class. When: Saturday, May 19, 10 a.m. to 12 p.m.
Bend and reach with a furry tail by your side. Nothing better than burning calories with some purring friends. Where: Hermitage No-Kill Cat Shelter & Sanctuary, 5278 E. 21st St. When: Sunday, May 20, 1-2:15 p.m.
Watch Avengers: Age of Ultron, Captain America: Civil War, & Dr. Strange and enjoy The Curry Pot foodtruck. When: Thursday, May 17, 7 p.m. to 1 a.m.
Watch a free movie and buy some food from the food trucks. Following the movie will be a short talkback and reception in the courtyard. When: Thursday, May 17, 7:30-9:15 p.m.
Have a marvel of a time and watch both Guardians of the Galaxy Vol. 2 and Thor: Ragnarok. See one of the newest Marvel movies out there and enjoy a free popcorn at the Film Bar. When: Saturday, May 19, 5-9 p.m.
See a 1946 classic about a ex-Nazi living under a false identity as a teacher in a small Connecticut town. See what he does to keep his secret. Where: Cinema La Placita, 140 N. Main Ave. When: Thursday, May 17, 7:30 p.m. Cost: $3 and free popcorn. Have a few laughs and watch some furry canines goof off on the big screen. Tickets will go fast, so order online when you get a chance. When: Saturday, May 19, 2-4 p.m. Cool off with a movie in the park with your family and friends. "Wonder" will be playing and food from Triple D Dogs will be on site. Remember to bring your folding chairs and blankets. Where: Dove Mountain Park, 12405 N. Dove Mountain Blvd. When: Saturday, May 19, 7:30-10 p.m.
Go to The Loft and visit your favorite Transvestite on the big screen. When: Saturday, May 19, 11:55 p.m. to 2 a.m.
Target - May 13-19 - Electric ride-on $299, Kid Trax CAT 6V quad electric ride-on $69, Antsy Pants firetruck kit $39.99, Antsy Pants lemonade stand fabric cover $15.99, women's 26" Schwinn Legacy cruiser bike $112.49, youth 20" Schwinn Falcon or Deelite bike with SmartStart technology $89.99, Threshold fire pit $60, Fisher-Price infant swing $127.99 and Baby Relax Edgemont 5-in-1 convertible crib $269.99. Ulta - May 13-June 2 - Urban Decay Beached eyeshadow palette $34, Bye Bye Pore bronzer $30, Butter London double decker lashes mascara $12, Sally Hansen Miracle Gel nail polish $7 and free wristlet with any Ulta beauty supply purchase of 16.50. Also, buy one get one 50% off select Soap & Glory, Physicians Formula, L'Oreal, Neutrogena and Maybellene. Joann Fabrics - May 10-23 - Seaport tabletop frames 50% off, select strung beads/charms 50% off, baby yarn 25% off, Little Makers summer crafts 25% off, select outdoor play toys 25% off, novelty cotton fabrics 50% off, Hello Spring Garden plant stands and planters 70% off. Bed Bath & Beyond - May 14-June 18 - Indoor/outdoor tablecloth with umbrella hole $24.99, Cuisinart salad spinner $19.99, Rubbermaid Premier 30 pc set $24.99, set of 2 sailboat drink pool floats $9.99, solar disk lights $19.99, Pawslife portable playpen $29.99, EcoTrekker travel hammock $29.99 and smart dry memory foam rug $12.99 - $19.99. Kohl's - May 10-20 - Select fashion jewelry 35% off, all Juicy Couture sunglasses for her $16.99, watch and bracelet sets for women $25.99 set, wedge sandals for women $29.99, Nike Kawa sandals for kids $21.99, Candie's slide-on sandals for her $14.99, Pyrex 13-pc. set $29.99, KitchenAid mini food processor model KFC3516, 5-speed hand mixer model KHM512 or 2-speed hand blender model KHB1231 $29.99 and The Big One bath towel or standard/queen bed pillow $3.99. 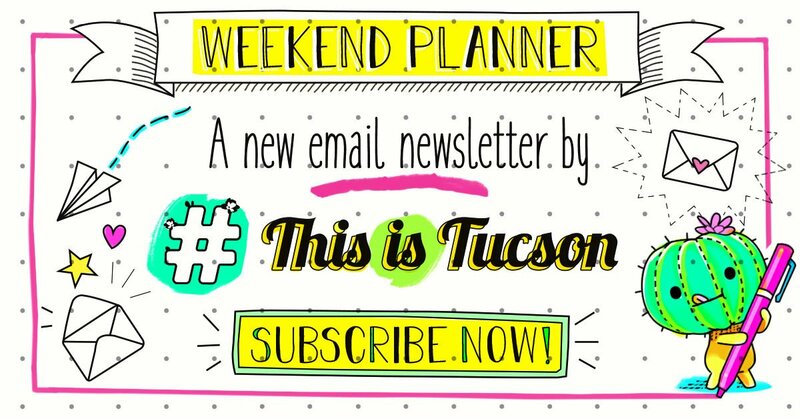 We need the expert opinion of a few pals to help us make a brand new #ThisIsTucson product the best it can be.